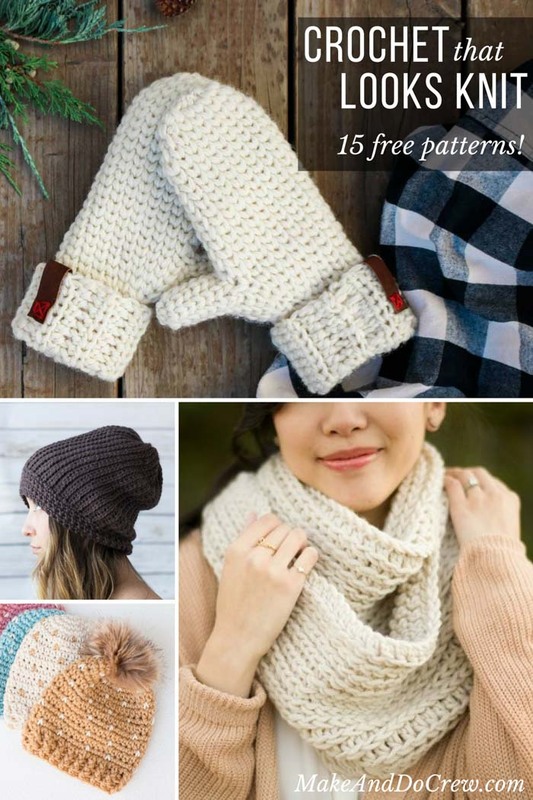 Each of these free patterns magically uses crochet that looks like knitting to create on-trend hats, sweaters, mittens and more. 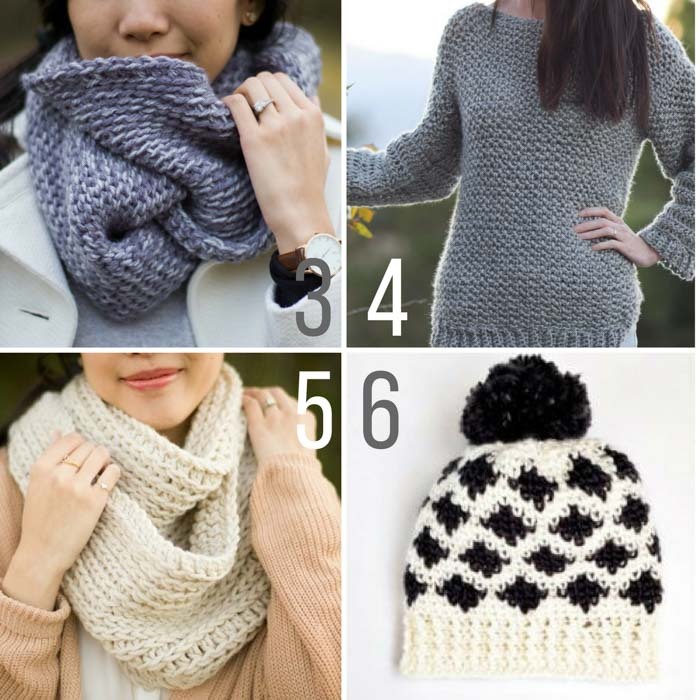 If you love the look of knit stockinette, but prefer to crochet, you’ll love this collection of easy crochet projects. If you’re anything like me, you love the classic look of knit stockinette or ribbing, but you love the speed and structure of crochet. A girl can have two loves, right? 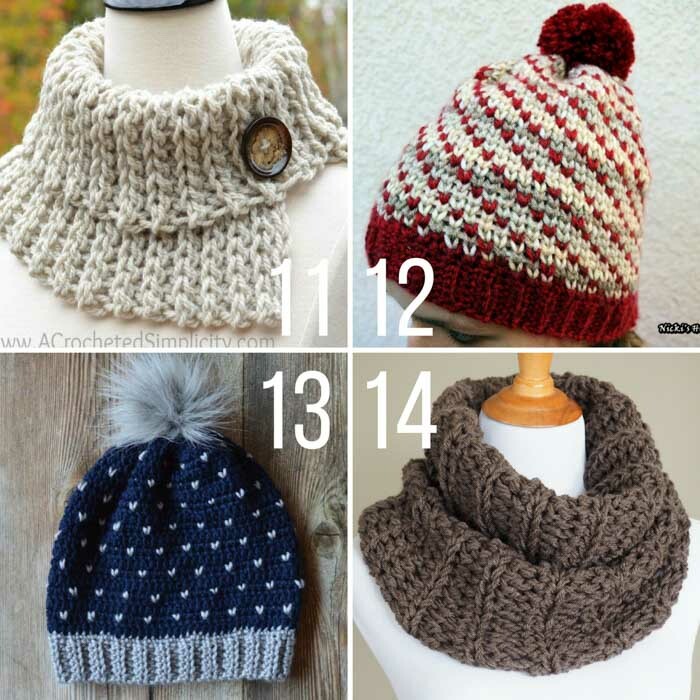 Well, with this collection of crochet that looks like knitting, you don’t have to choose! 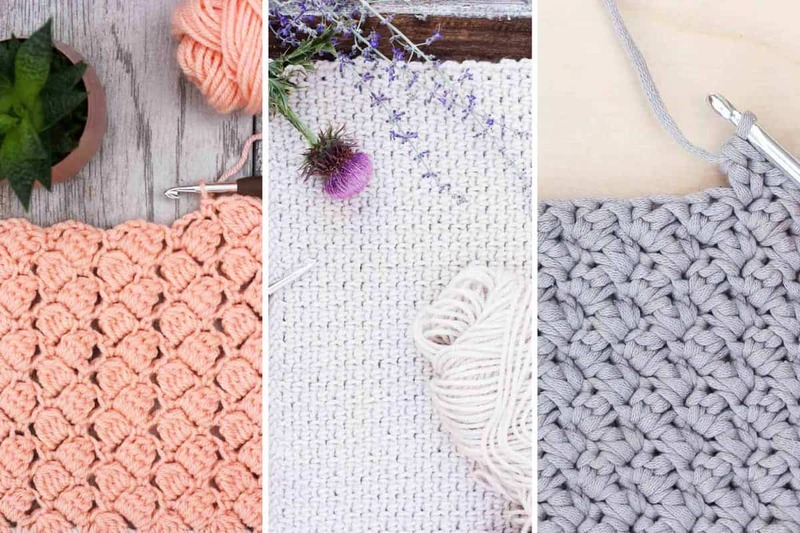 Each of these free crochet patterns uses simple crochet stitches to create the look of knitting, and I’m not just talking, “yeah it’s made of yarn, so it looks kinda knit” sort of look. I mean, like do-a-double-take looks like knitting. Many of these crochet patterns that look knit use the waistcoat stitch, which I found really tricky to master for a few years. I finally figured it out though and created a video tutorial so you can too. You can watch that here. I hope you enjoy this collection of crochet that looks like knitting. I’m constantly blown away by the creativity of yarn-lovers! 2. The Beginner’s Everywhere Crochet Beanie by Make & Do Crew – Designed as a compliment to the Morning Mittens pattern pictured above, this is a great example of what’s possible with crochet that looks like knitting. This free hat pattern works up super quick with minimal counting. 3. The Crochet Cobblestone Cowl by All About Ami – This beautiful piece by All About Ami uses crochet slip stitches to create the look of knitting. To me, the texture is somewhere between the knit garter stitch and the backside of stockinette and I love how simple it is to create. 4. 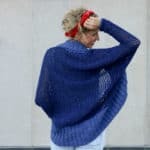 The Easy Crocheted Knit-Like Sweater by Mama in a Stitch – What this crochet sweater looks knit, you’ll still get the quick-working benefits of crochet in this casual, comfy pattern. 5. The Crochet Triple Luxe Cowl by All About Ami – This free cowl pattern uses half double crochet to create crochet that looks like knitting. And the best part is that chunky yarn makes this very quick and simple to whip up. 6. The Modern Crochet Ikat Hat by Sweet Everly B – Sweet Everly B uses the waistcoat stitch to mimic the gorgeous look of fair isle knitting, but with crochet. 7. 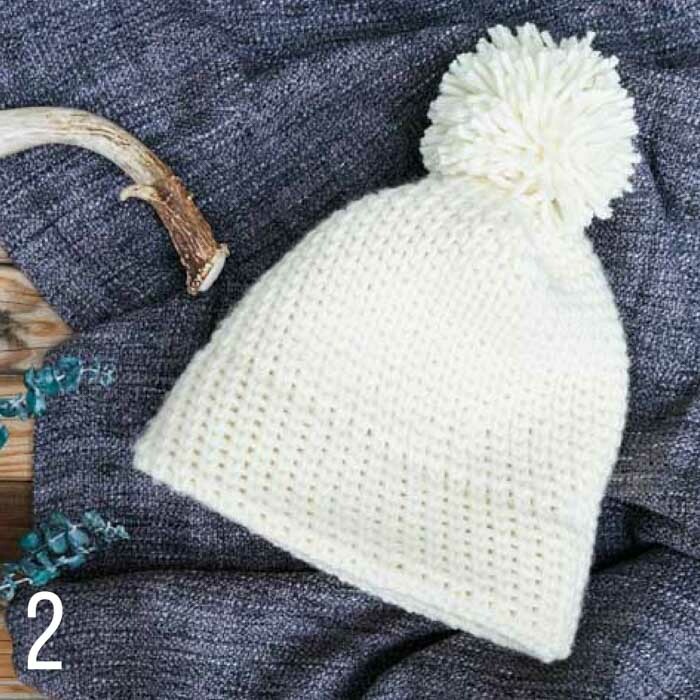 The Crochet Fair Isle Hat by Yarn Hook Needles – The waistcoat stitch (also known as the knit stitch) is perfect for making crochet beanies that look knit and I love how the little white “v’s” in these hats further create a look of stockinette. 8. 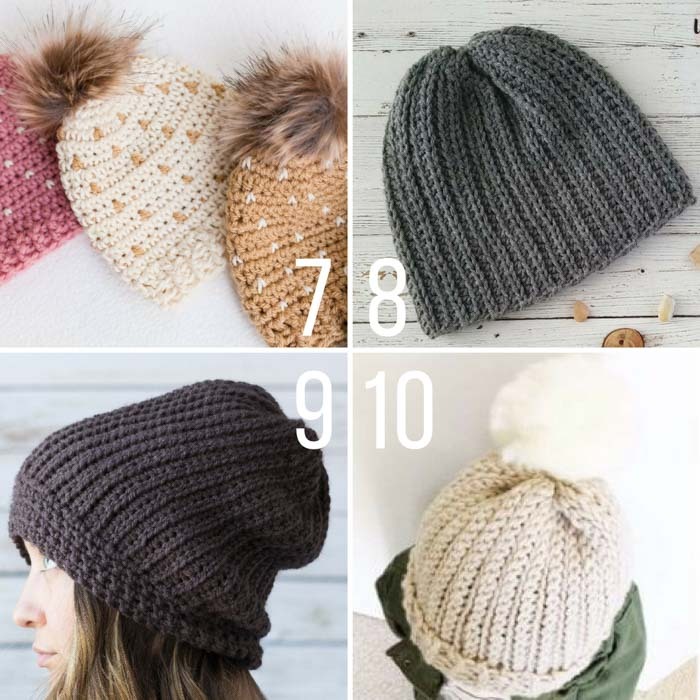 The Crochet Superior Beanie by The Unraveled Mitten – The Unraveled Mitten uses vertical rows of half double crochet to create a knit look with a crochet hook (get the rhyme there? 😉 ) in this very simple unisex hat pattern. 9. The Crochet Emily Hat by Margo Knits – If you can make a rectangle, you can create this simple crochet beanie that looks knit. Doesn’t it look more complicated that basic single crochet? It’s not! 10. 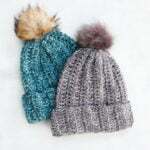 The Crocheted Ribbed Beanie by Sweet Everly B – Another beanie pattern based on a rectangle, this basic hat uses slip stitches to create a ribbed knit look with crochet. 11. The Crochet Knot Knit Cowl by A Crocheted Simplicity – This super quick cowl pattern creates the look of ribbed knitting uses simple crochet stitches with no shaping. 12. The Crochet Swirly Heart Hat by Nicki’s Homemade Crafts – To me, this hat is the most beautiful reason to love crochet that looks like knitting. It really looks knit, doesn’t it? Simple rounds of the waistcoat stitch make this beanie look far more complicated than it actually is! 13. The Crochet Snowfall Slouchy Hat by Whistle & Ivy – Whistle and Ivy uses the crochet knit stitch with beautiful effect in this classic crochet hat pattern. Sizes baby-adult! 14. 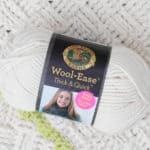 The Crochet Outlander Cowl by Dabbles and Babbles – This pattern is a great reason to love crochet–it’s really fast to work, while still mimicking the classic look of knit ribbing. 15. 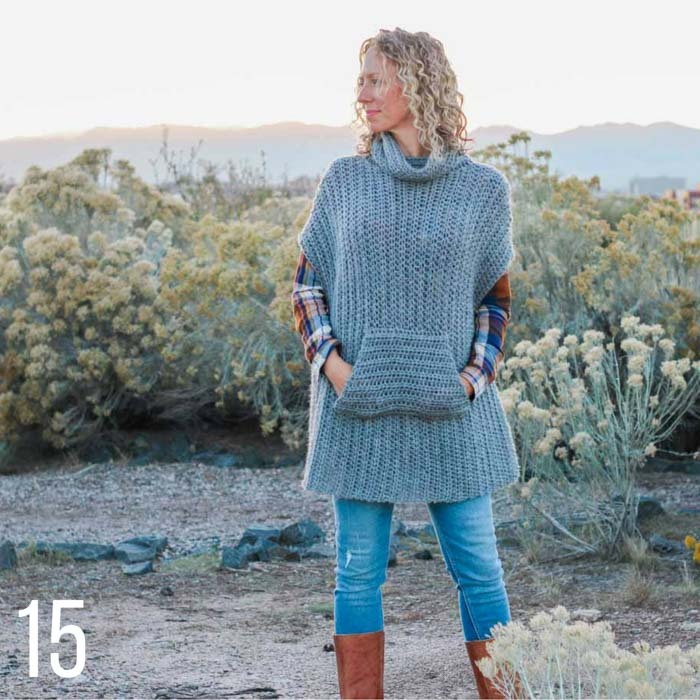 The Greyscale Knit-Looking Crochet Poncho by Make & Do Crew – This poncho is more fitted than most and employes the half double crochet stitch to make simple crochet look like knitting. The cowl neck and cozy pocket will make you want to never take it off! If this list of crochet that looks knit hasn’t inspired you enough, you may like to check out my list of 25+ crochet stitches to use on blankets and afghans here. Thanks so much for making an awesome pattern. 🙂 I’m happy to have your beautiful work included here. I can not find the free pattern of these mittens. 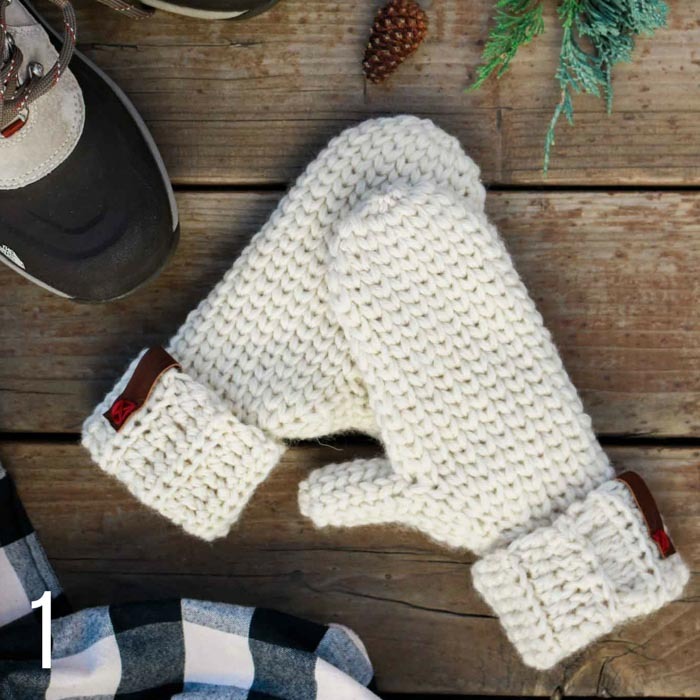 The crochet (knit) mittens. So many beautiful designs! They all make me take a double look to see if it’s really crochet. I’m honored to have my patterns listed with all these great designers.